On Cloud Storage Like OpenStack Swift, We Can Set Different Backup Strategy on Our Need. Differential backup is a backup of all changes made since the last full backup which is good for quicker recovery. Incremental Backups are last full backup plus incremental changes as backups. Here is Brief Theoretical Background Behind Incremental Backup Versus Differential Backup. Among many ways of backup, we have Mirror Backup, Full Backup, Incremental Backup and Differential Backup. Cloud Storage is taken as reliable and convenient medium for storage of critical backup data with granular control with API. In incremental backup, the system is copying all the files which have changed since the last backup. Big advantage is that, in case of incremental backup few files needed to be copied which decreases the time to take a backup for changes. The advantage is the disadvantage during restoration – it will consume more time to restore the backup. However, incremental backups are good to decrease the need of space. It is probably obvious that, if the initial full backup had technical issues to restore but system not identified it, incremental backup may prove to produce variable result. In case of differential backup, all files are copied which has have been changed since the last full backup. Differential backup preserves data saving only the difference in the data since the last full backup. Incremental backup is successive copy of the data containing the portion which has changed since the preceding backup copy. rsync most known for incremental backup, and we discussed How To Set Up rsnapshot For Backup, however the basis was for cloud server or VPS, not Cloud Storage. In Cloud Storage, we do not have all types of backup in real for practical reasons. Incremental Backup in Cinder was designed with OpenStack Swift back-end in mind. Common form of incremental backup is block-level incremental backup where software backs up storage blocks that have been written. Raksha is a scalable data protection way for OpenStack. 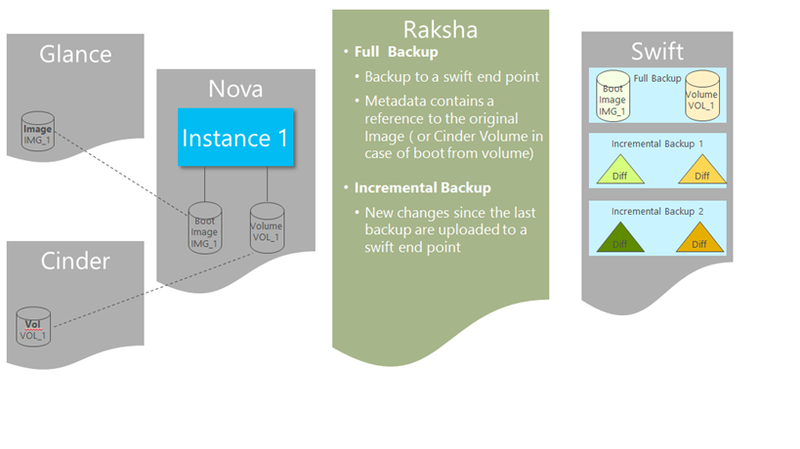 For Openstack Raksha, we have Full Backup and Incremental Backup. Unlike OpenStack, other cloud storage are not well documented, open source to conclude the best methodology for full server backup and restore. At worse, definition of Incremental and Differential differs from vendor to vendor to certain level. We think that a good backup strategy probably should include periodic Full and frequent Incremental and Differential backups. However, for OpenStack management purpose, Full backup and Incremental backup probably sufficient. This Article Has Been Shared 6788 Times! Cite this article as: Abhishek Ghosh, "Incremental Backup Versus Differential Backup on Cloud Storage," in The Customize Windows, May 12, 2018, April 23, 2019, https://thecustomizewindows.com/2018/05/incremental-backup-versus-differential-backup-on-cloud-storage/.